Read the rest of this news story in Nature Outlook: [html] [pdf]. In January, justices of the Supreme Court of India gathered to discuss the country’s national identification system, called Aadhaar. Since 2010, authorities have enrolled 1.19 billion residents, or about 93 percent of India’s population, in the system, which ties fingerprints, iris scans, and photos of Indian citizens to a unique 12-digit number. One fresh, sunny morning this spring, a dozen ex-convicts gathered around a table in a back room down a quiet side street of London. Considering the company, the scene was sedate. Someone with a manslaughter conviction stubbed out a cigarette. Onetime drug dealers snacked on croissants. A man with tattoos covering his substantial forearms shuffled reading material on a table. Someone who once served a prison sentence for embezzlement put a kettle on and offered the others tea. No police officer would worry about this crowd: It was an academic congregation of so-called convict criminologists. 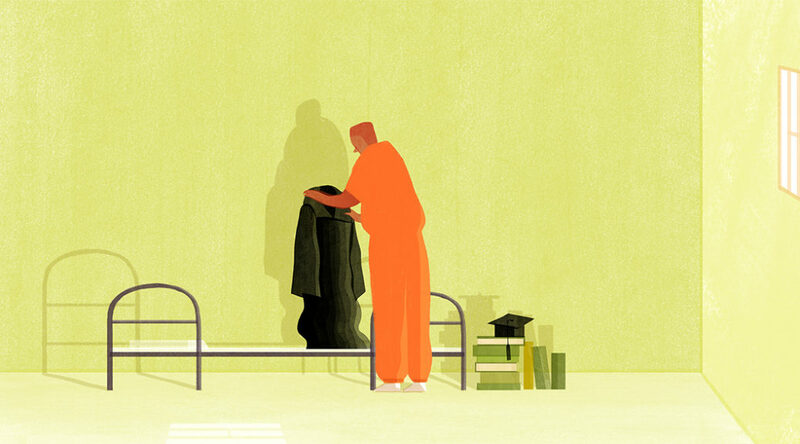 Over the past few decades, some ex-convicts have turned to academia, aiming to put their experience “inside” to good use. They use their knowledge of the criminal justice system to select research questions and design studies. They use their history to gain prisoners’ trust. And they work to counteract what they see as a strong bias in academic criminology toward the perspectives of authorities in the criminal justice system. Read the rest of this feature in SAPIENS: [html] [pdf]. Pacific Standard also republished the feature: [html] [pdf].